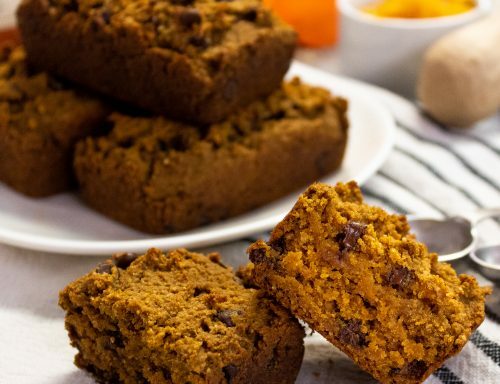 A quick bread is a great option for SO many occasions. 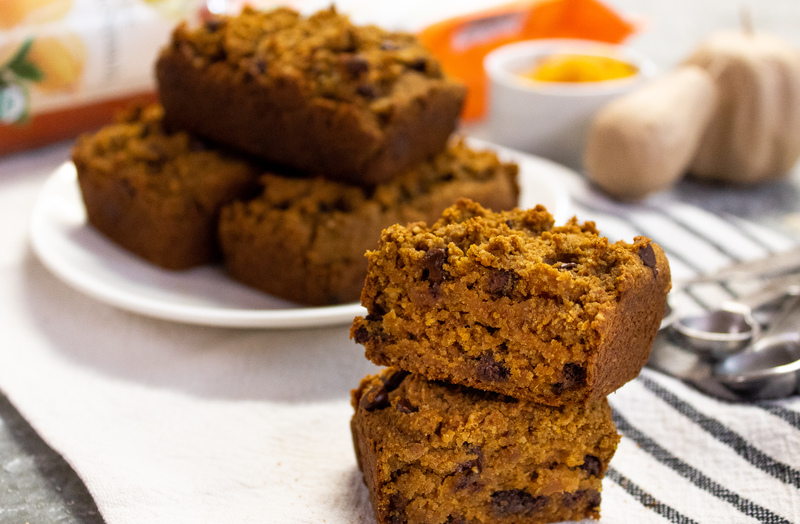 An easy breakfast, a simple addition for a holiday party, or a snack to wind down with a cup of tea. 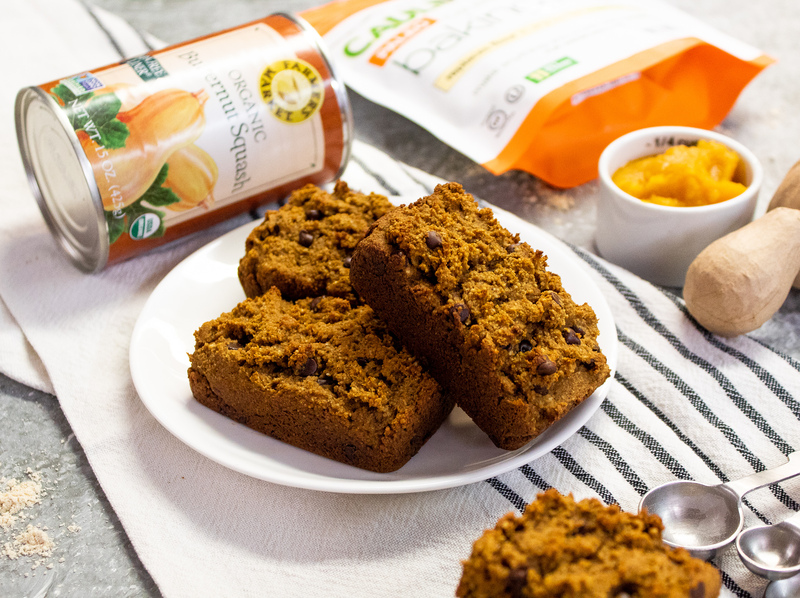 We decided to give this a little bit of twist with a paleo butternut squash bread. 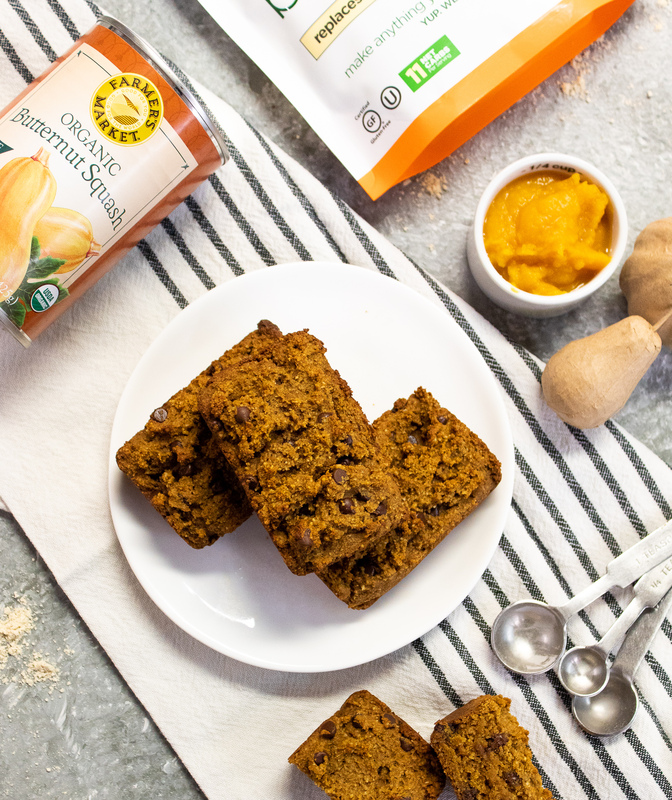 Yes, this is grain-free, refined sugar-free, dairy-free and still delicious! 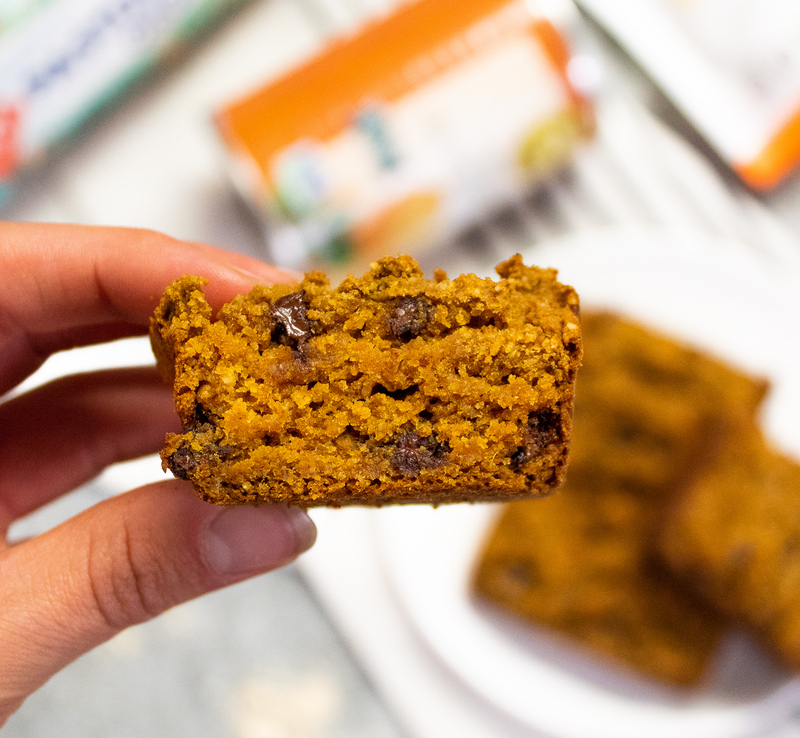 Keeping reading to see how we made this perfect-for-fall baked good. 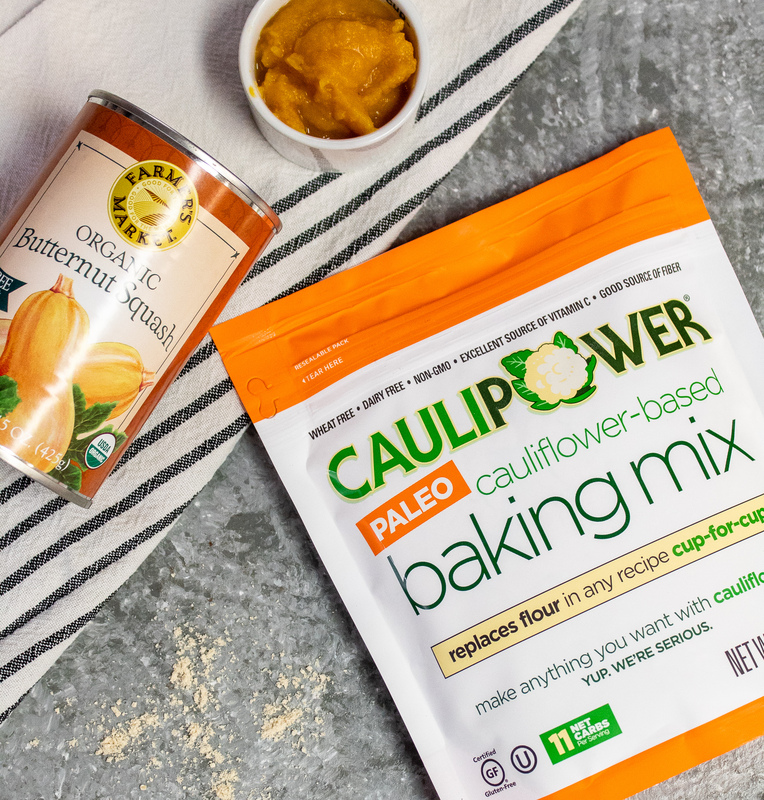 This recipe is LOADED with vegetables, between the farmer’s market butternut squash and the Caulipower’s paleo cauliflower baking mix (both on sale this month! ), you’ll be shocked when you taste it. This is also super simple, and features other high quality ingredients like Handsome Brook’s pasture-raised eggs and unrefined coconut sugar. You can throw everything in one bowl, mix, pour and bake. It’s as simple as that, thus staying true to the quick bread name. We mixed in mini chocolate chips, but feel free to mix in walnuts, pecans or pumpkin seeds or top it off with a bit of coconut sugar. There’s a ton of possibilities that will go well with this recipe! If you try it out give us a shout out on social media and let us know what you think! Now let’s bake. optional: 1/2 cup seeds, nuts, chocolate chips etc. Start by preheating your oven to 375 degrees Fahrenheit, and grease a loaf pan or a mini loaf pan (what we used). Combine all your dry ingredients in a medium sized bowl and mix until uniform. Next, in a smaller bowl melt your coconut oil and let it sit to cool a bit. To this add your eggs (room temperature), squash puree, vanilla and maple syrup (or honey). Whisk these together until well combined. Pour the wet mixture into the dry and combine using a spatula or large spoon. Once mixed, add in your extras, if using. Here we used mini chocolate chips as they worked better for the mini loaf size – but chopped walnuts or pecans would work just as well! 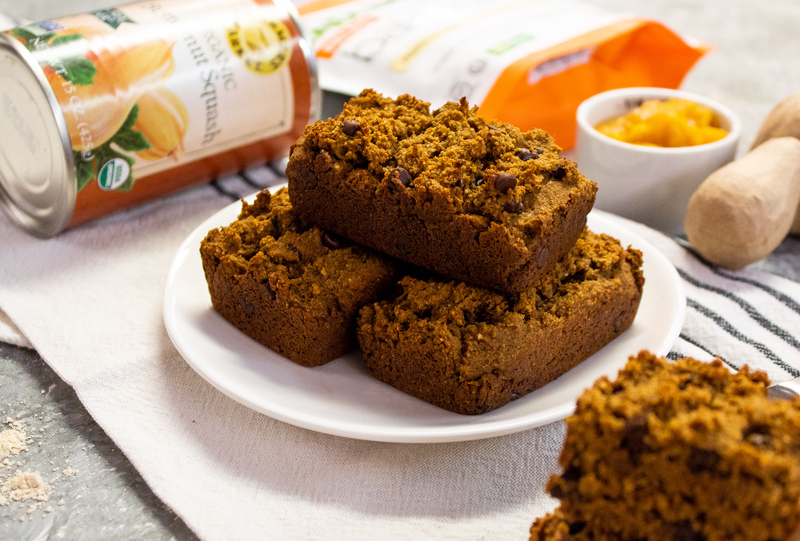 Pour the bread mix into your greased pan and bake for 40-50 minutes for a normal sized loaf or 20-25 mins for the minis. These are best served warm with hot cup of tea or coffee, but can be kept in the fridge for a week or stored in the freezer for easy reheating. Enjoy!